Active Release Techniques® (ART®) is a patented soft tissue mobilization technique, which uses combination of joint movement and soft tissue mobilization. The soft tissues are muscles, tendons, fascia and nerves. ART is developed by Michael Leahy in mid 80´s. The goal of over 500 protocols is to normalize the structure of fibrotic soft tissue and restore it´s free motion. ART treatment contains soft tissue-, joint- and nerve mobilization. Acute soft tissue injury is followed by healing process, which consists of inflammation phase (1-5 days), fibroblastic phase (14-21 days) and remodelling phase (6-12 months). Healing of soft tissue always involves formation of scar tissue. Location of injury, type, extent and rehabilitation are key factors to determine the amount of negative effects to the function of musculoskeletal system. For example in minor injuries, with appropriate rehabilitation, the scar tissue can be replaced by original tissue without causing any problems. If the injury is big or is not treated well, cumulative injury cycle will begin which predisposes to make situation chronic. Soft tissue injury can also result of repetitive micro tears, which will lead to scar formation over the long period. On the background there is often myofascial tightness present, which will irritate soft tissues by disturbing gliding or causing pressure. Likelihood of repetitive soft tissue injuries can be roughly estimated with the following chart. Other things (smoking etc) affect injuries too, but their effects can be predicted. Also lack of oxygen can cause soft tissue problems. Ongoing static muscle work and caused muscle tightness impairs circulation, causing tissue hypoxia. This will result in biochemical disturbances, like formation of mRNA alpha-1 procollagen, which is used in formation of fibrotic tissue an adhesions in the tissue and between tissues. These will disturb more structure function, causing inflammation, swelling and more scar and adhesions. The cycle tends to repeat itself, if it is not cut. Movement requires the respective motion of muscles, nerves and vessels in various layers. The free motion can be disturbed by the scar tissue followed by soft tissue healing. The scar affects has straight negative effect on circulation by pressing against vessels. Scar tissue can also cause pain, reduce range of motion, strength and co-ordination. The basis of rehabilitation should be formed by exercise, which contains progressive motion, stretching and strength exercises. Depending of type, magnitude, location and rehabilitation the result is not always functionally optimum. If the problem is scar tissue or adhesions, good, fast and long lasting results can be achieved by breaking them with ART treatment. ART courses are popular especially in North America. Picture is from the spine course in Toronto. ART® treatment is based on diagnosis, where the therapist evaluates the nature of injury, structures involved and syndrome caused. Target of assessment are also structure, tightness, movement and function of the tissues. The therapist may for example move the joints and estimate the adjacent movement of the tissues at the same time. The treatment protocols can be picked from the book, where the subsidiary protocols and pain pictures are introduced. There is nothing new in combination of soft tissue mobilization and movement, but ART® is extremely specific technique where each structure is treated as specific as possible taking into consideration the structure specific movement and grip. With appropriate ART® work, also the attachment areas are treated profound way and adhesions between the structures are released. In practice, when for example the muscle is treated, it will set in shortened position, the tension is produced and finally the muscle is brought to the lengthened position. In most of the ART protocols the tension is along with the circulation, but the tension can be opposite as well. The direction can be also varied during the pull and in some techniques, the behaviour of the tissue determines the direction of the pull. ART is safe treatment method because joints are not manipulated with rapid movement (thrust). Especially during the first treatment session the patient can feel “good pain”. ART® treatment is not only accomplishing the technique. Diagnosis and treatment are strongly based on the sensitivity of the fingers. Educated and experienced ART® practitioner is able to produce appropriate amount and direction of force and adjust it as necessary during a pull. ART® work also requires very good strength. In my case the learning process is on the good way but the finnish line can´t be seen yet. 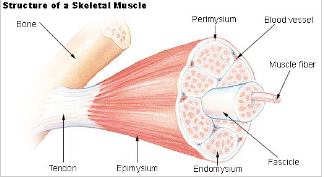 Muscle consists contractile elements, fascias, nerves and vessels. Muscles can get tight by various reasons. Nowadays with lots of computer work and hasty working days, muscle tightness often results from static muscle work and weakness of deep postural muscles. That´s why the key element of physiotherapy should be exercise, taking biomechanics into consideration. When tightness is chronic, it starts to be time to consider ART® treatment to support exercise therapy. It´s important to treat the muscle tightness, because sustained pull and reduced circulation will easily lead to tendon problems. Also irritation of the nerves and bursae (soft pads) between the structures will increase. Muscle tightness may reduce the joint range of motion, which increases risk of joint problems and causes wrong movement pattern. Scarred myofascial structure also reduces power and co-ordination and is often reason for muscle tears. The goal of ART® is to break up any scar tissue so that the muscle feels more rubber than rope. ART® makes possible to treat also deep structures effective way. Muscles like rotators, psoas major, piriformis, pectoralis minor and subscapularis are difficult to treat effectively without joint motion. ART® includes techniques for very wide range of structures. Also less familiar muscles have own techniques, like medial pterygoid in mouth, omohyoid and digastric in the neck. Those muscles which are not easy to stretch oneself, can be treated too. For example peroneus on the side of the shin. Some techniques concentrate on relative motion between muscles by moving the multiple joints. Fascia is not only essential part of muscle, but also other structures by surrounding them and making connections between structures. Scarred and adhered fascia may cause pain, reduce mobility, strength and co-ordination. 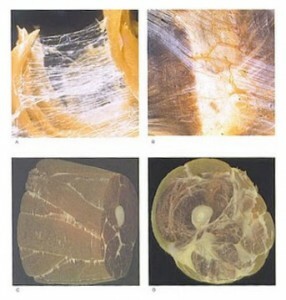 Fascia that surrounds muscles, nerves, veins etc, reduces friction in relation to the adjacent structure. 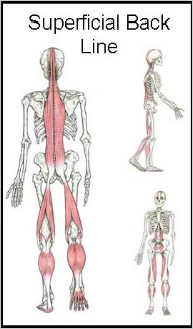 This is one of the roles of fascia. Healthy and unhealthy fascia could be compared to smooth and rough side of sandpaper. In joint motion the muscles should slide free with respect to the adjacent structure. This sliding could be disturbed by adhesions, but may be restored with ART® treatment. For example in running when knee and hip flex, the superficial part of Quadriceps (rectus femoris) slides upwards in relation to the muscle under it (vastus intermedius). In this example reduced motion is not question of pain, rather impaired muscle function that leads in reduced speed. 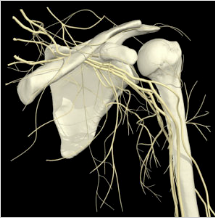 Because of fascial connections, ART® treatment involves not only technique for main target, but also other protocols according to the fascial lines. For example popliteus, gastrocnemius, soleus and lateral collateral ligament of the knee all attach to the fascia on the side of the knee. This fascia attaches to the lateral meniscus of the knee, so they all are potential structures to disturb the motion of the meniscus. On the other hand, by treating the muscles or fascia with ART® from outside, the motion of meniscus may be restored and symptoms relieved. Tendon injuries can result from variety of reasons, often increasing exercise too much too soon. There are usually biomechanical factors alongside. 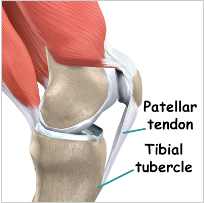 The tendon problems can subdivided as peritendinitis (tendon sheath), tendinosis (tendon degeneration) or tear. In spite of the cause, the typical changes of peritendinitis include thickening of tendon sheath, scarring and adhesions, which disturb sliding of the tendon in tendon sheath. In the chronic injury the symptoms can relieve with long rehabilitation or surgery where adhesions are removed and surrounding of the tendon is cleaned. For example Achilles tendon surgery gives good results in approximately 90% of cases. Still, manual therapy may play role before consideration of surgery. In peritendinitis, classical massage may irritate the surrounding and make symptoms worse. ART® gives possibility to break up the adhesions with only a few “pull” and restore the necessary motion of the tendon and tendon sheath. Sometimes ART® is benefical even if the problem is within the tendon. For example the fibrotic patellar tendon may be break, in other words normalize the structure, with ART®. Surely other treatment like eccentric exercise can be used along with ART®. Nerves become easily distubed if they are exposed to pressure, friction or pull. Only 8 % pull is enough to reduce the circulation of nerve and 15 % stops it completely. With pressure even less pull is needed to bother circulation. Nerves exit the spine from the nerve canals of the spine and after that run in very narrow route. That´s why they are exposed to entrapment when running in bony grooves, between muscles, grooves in connective tissue, piercing muscle and fascia. For example in the neurovascular sleeve in the armpit the nerve should slide around 1 cm when lifting the arm. If this sliding is disturbed, the nerve is irritated and symptoms like pain, numbness, tingling, lack of sense or power are produced. ART® has many techniques developed especially for nerve entrapments. ART® combines the entrapment mobilization and the nerve sliding that are used in the common mobilization of the nervous system. Thus the nerve entrapment may be released and normal function restored as effectively as possible. ART® developer Michael Leahy highlights treatment of nerve entrapments to get good results. The most typical injury type of the ligament is sprain or tear, when the joint becomes often hypermobile. Also ligaments may become fibrotic and shorten, when the mechanics, circulation and proprioception may be altered. Ligaments may adhere to adjacent tissues like muscles and nerves. For example there are many potential entrapment places for the sciatic nerve. It can be entrapped by the sacrotuberous ligament in the hip area producing radiating pain. 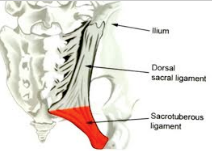 Although the sciatic nerve doesn´t pass through the ligament, they have often connection if the ligament is fibrotic, shortened and attached the fascia and muscle next to it. Radiating pain along the buttock or leg is typically thought to result from the nerve entrapment in the spine, at the level of disk or foramen. When this is reason, the treatment of the back may give good results. Some clinicians think the role of disk at the background of radiated pain of the leg is overemphasized and MRI pictures are often over diagnosed. This thought is not without ground, since in one study (n=60) the spine of completely healthy at the average 35 yrs men were examinated by MRI, which revealed the herniated disk with 40% of the people. Anyhow the nerve can become entrapped in many places along the body outside the spine and cause symptoms in distal parts. For example pain treatment, joint mobilization, orthotics or exercise may be benefical, but in this example, fast and long lasting results can be achieved by ART treatment of sacrotuberous ligament, when situation may get significantly better after one or two visits. 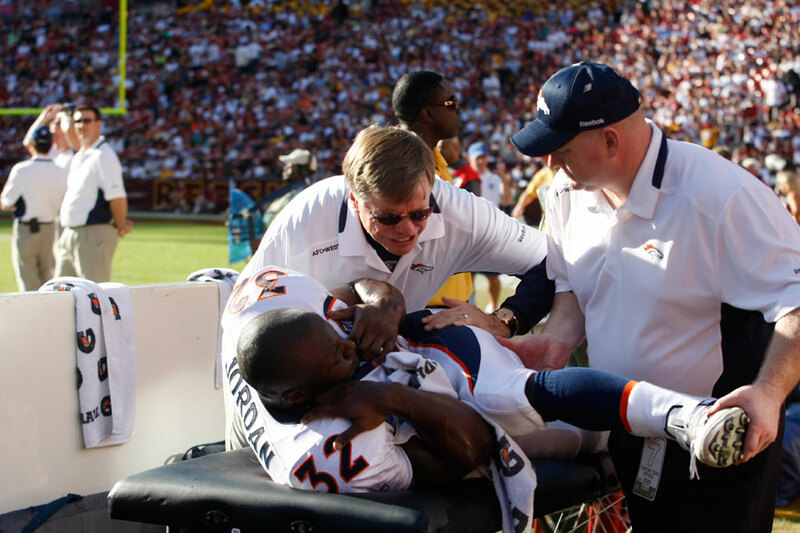 Sports injuries can be prevented by many ways. By taking care of muscular balance, progressive exercise, proper warm up etc. In practice, intensive exercise, heavy loads, repetitions, explosive efforts, improper technique, contacts are examples of reasons which cause harmful changes to soft tissues. It is estimated from 10 to 30 % of all sports issues are muscle injuries. Typical findings in surgery are thickened myofascia and adhesions also which irritate nerve receptors causing slowed speed, loss of strength, reduced joint motion and pain especially at the end range of joint motion. Many athletes have changed the stretching habit by avoiding long lasting stretching especially before the sports, because experience and science have shown this kind of stretching has negative influence on performance for a period. Still, when scar and adhesions are present, performance is disturbed and risk of injury increased and that´s why something should be done. ART® is kind of dynamic stretching, where effect can be targeted to the problem sport more accurate way than stretching which is done oneself. ART® suits well also near competitions, because the muscle is not treated by the way which will make it weak (like deep longitudinal sliding in the muscle). ART® is widely used in the North American professional sports (NHL, NFL, NBA) and Ironman races, which is also educational competitions. ART® has received good feedback from athletes and nowadays therapists e.g. from Olympic teams and Premier league take ART courses. ART/Teemu Selänne in the Ilta-Sanomat (in Finnish) (332 kb). As for science, there is need for quality research so evidence of effectiveness of ART is mostly based on experience. Hopper etc (2005) compared the effectiveness of traditional and dynamic soft tissue mobilization on the tightness of Hamstrings. In the study 45 healthy men were randomized to control group, classic massage group and dynamic sof tissue mobilization group. In the latter group the range of motion increased remarkably as opposed to other groups. ART® can not heal every problem, but it´s worth a try especially in chronic soft tissue problems when it seems that scar tissue and adhesions play a role in the background of the musculoskeletal injury. In practice the muscle test before and after ART® can reveal the benefit of ART® by increasing the muscle force or increase joint motion after a few ART® pull. Active mobilization is easiest found when last degrees of motion is lacking. There are more than 13 000 ART® therapists around the world from which most have taken the ART® courses and work in the North America. Good results have encouraged companies to include ART® in the occupational health care. Philosophy of ART® is based on the western medicine and it is appreciated among doctors too. Now education is becoming more popular also in Europe.